Star gazers in about half of the continental United States rose early to witness a trifecta of celestial events. A supermoon, blue moon and total lunar eclipse are taking place at the same time. From the western sky, the moon dimmed as it passed through the Earth's shadow before becoming completely submerged, transforming into a beautiful burnt orange color. While only people from the western United States to eastern Asia and Australia were able to seen the blood moon, the super blue moon could be see all around the world. The super blue blood moon is simply the coincidence of three lunar events: A supermoon, a blood moon and a blue moon, Noah Petro, a scientist for the NASA Goddard Space Flight Center, told ABC News. A blood moon is a term used to describe a total lunar eclipse, which is when the moon appears darkened as it passes through the Earth's shadow. 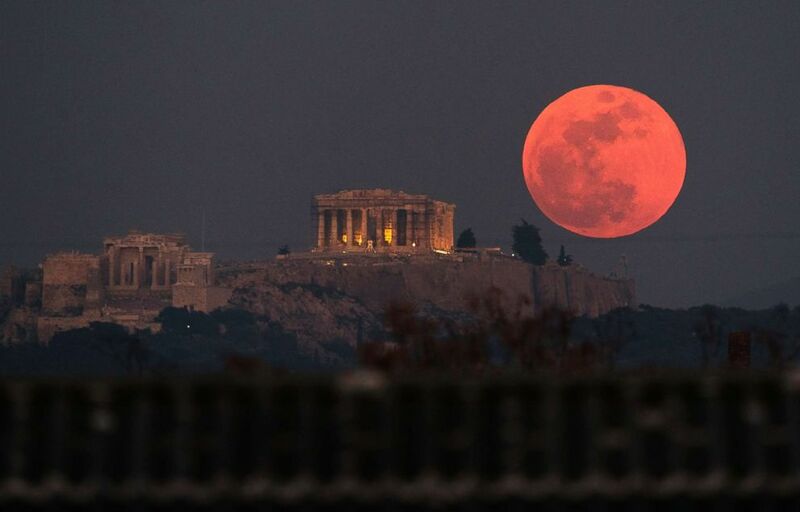 The total lunar eclipse is given the "blood" nickname because of the "beautiful" red color caused by the projection of all of the Earth's sunrises and sunsets onto its surface, Petro said. The next lunar eclipse visible in the U.S. will be on Jan. 21, 2019, according to NASA. It won't be a blue moon, but it will be a supermoon. A supermoon is a full moon or new moon that coincides with the moon's position at its closest to the Earth. Today's supermoon will be the second-closest full moon of the year, after the one that occurred on Jan. 1, Petro said. It will also be part of a "trilogy" of recent supermoons, the first of which occurred on Dec. 3, according to NASA. A blue moon is merely a "quirk in the calendar," as the second full moon in a month, Petro said, adding that there is "nothing really to see there." 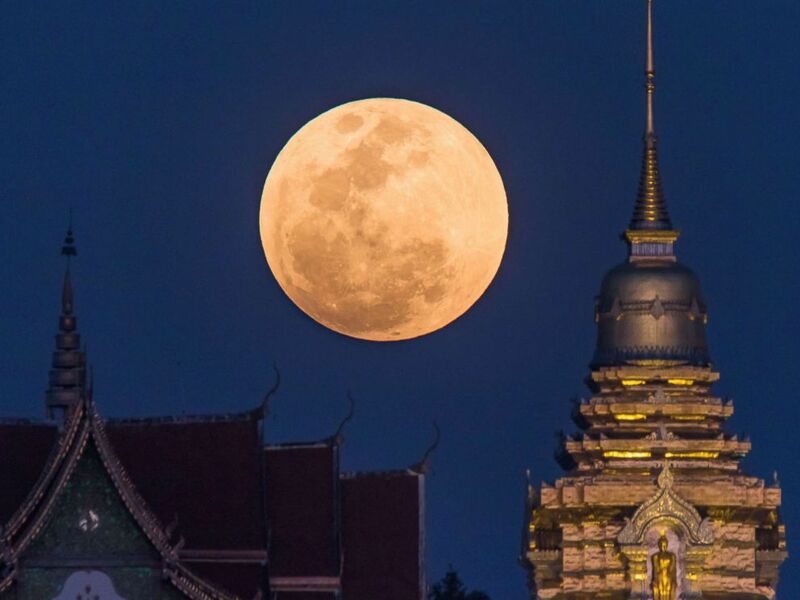 A super blue blood moon rises behind a Buddhist temple in Chiang Mai, Thailand, on Jan. 31, 2018. 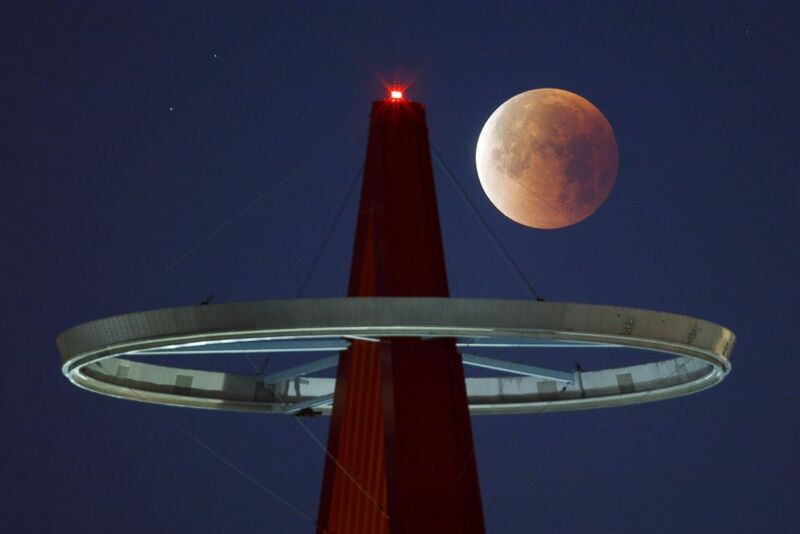 A super moon shines its blood red colors during a full eclipse above the Big A Sign of Angel Stadium in Anaheim, Calif., on Jan., 31, 2018. 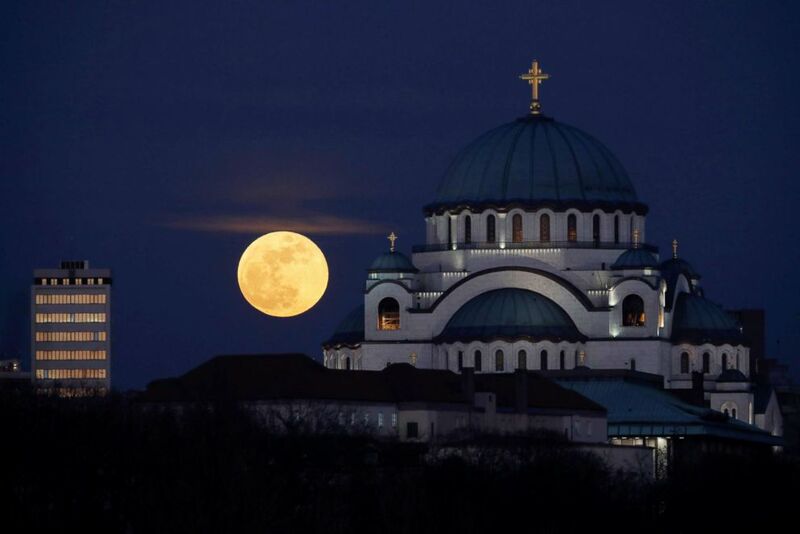 A full moon rises behind St. Sava temple in Belgrade, Serbia, on Jan 31, 2018. 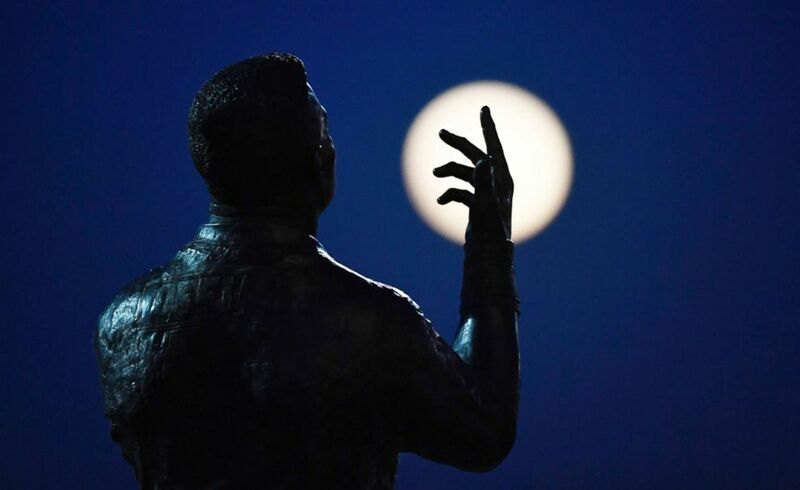 A super moon rises by a statue depicting Rugby Union players at Wembley Stadium in London, Jan. 31, 2018. 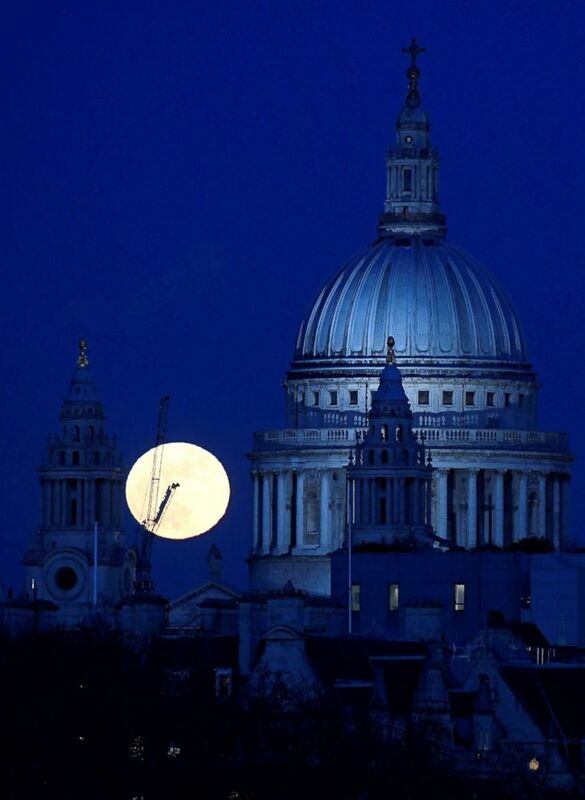 A full moon rises behind St Pauls Cathedral London, on Jan. 31, 2018. 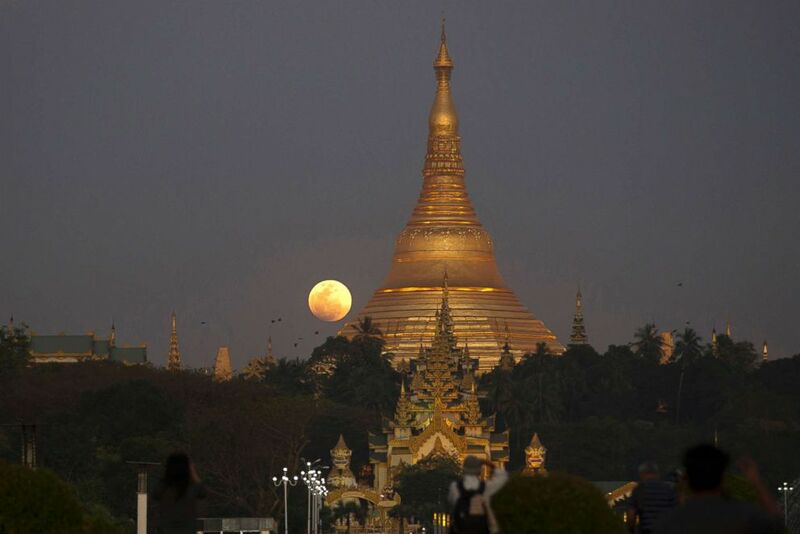 The moon rises behind Myanmar landmark Shwedagon pagoda on Jan.31, 2018, in Yangon, Myanmar. 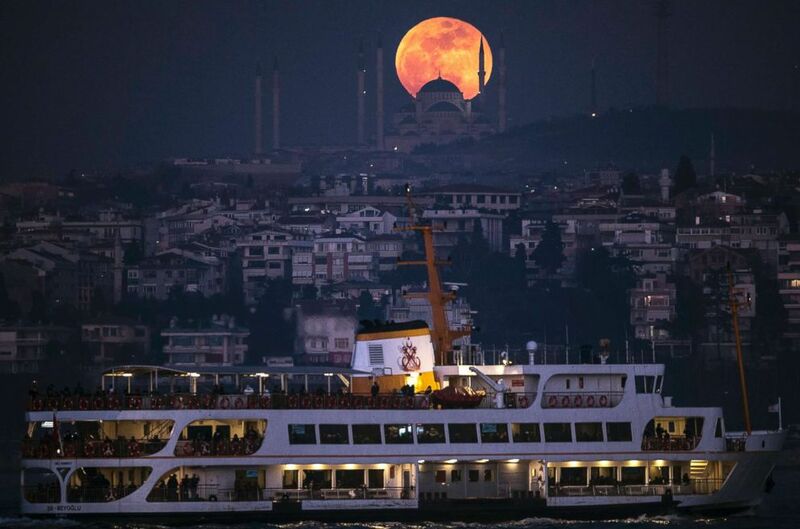 A super moon rises above the Camlica Mosque in Istanbul, on Jan 31, 2018. 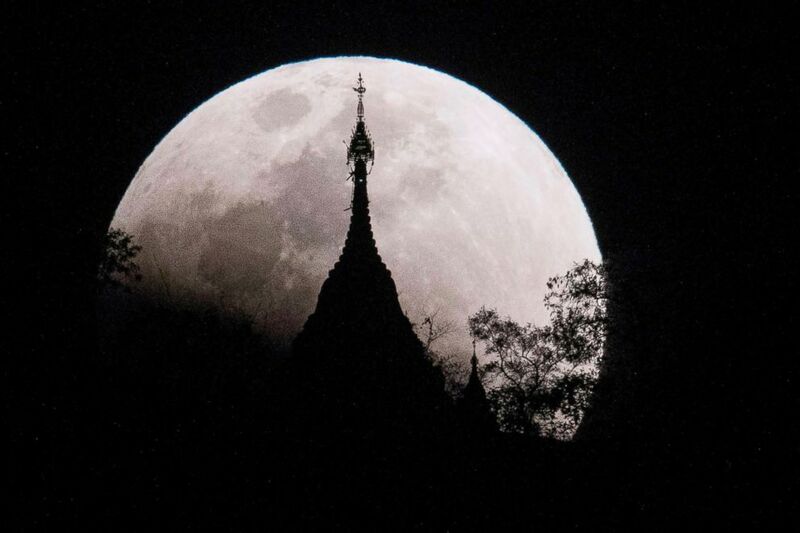 The moon rises over a pagoda in Kumal, some 65 miles away from Mandalay City, Myanmar, on Jan. 31, 2018. 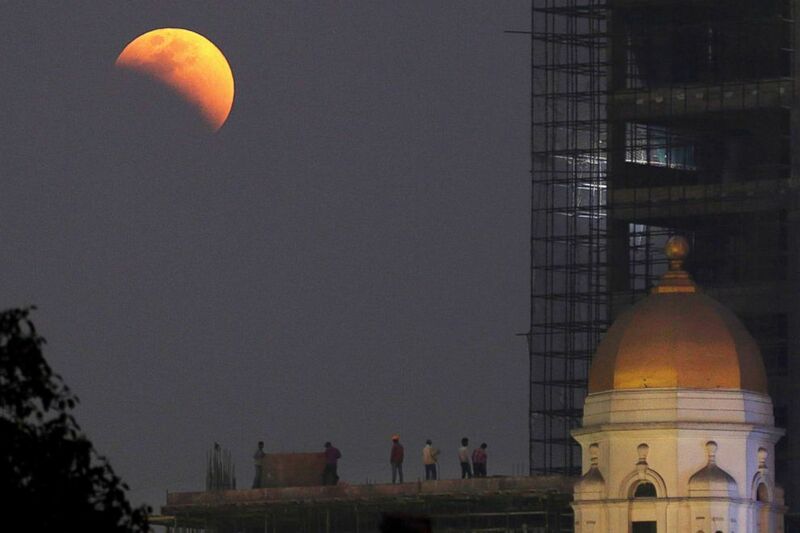 People watch the super moon and full eclipse develop near a heritage building in Calcutta, Eastern India, Jan. 31, 2018. 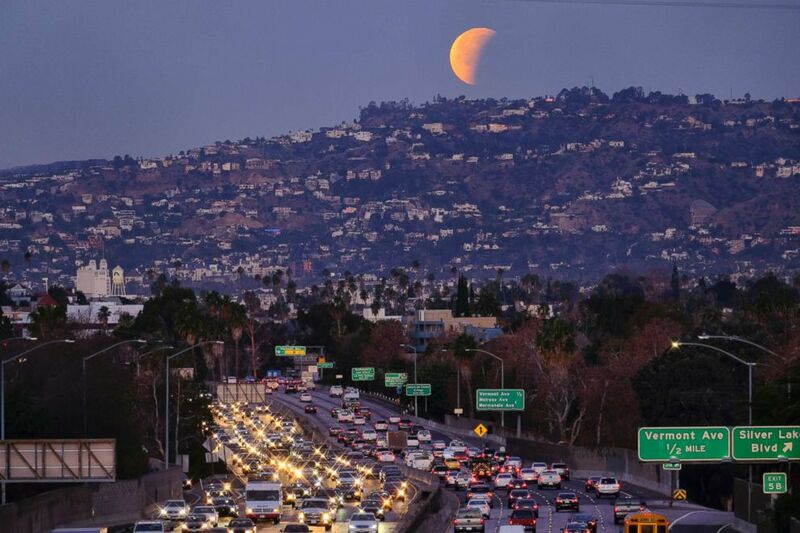 A super blue blood moon sets behind the Hollywood hills in Los Angeles, Jan. 31, 2018. 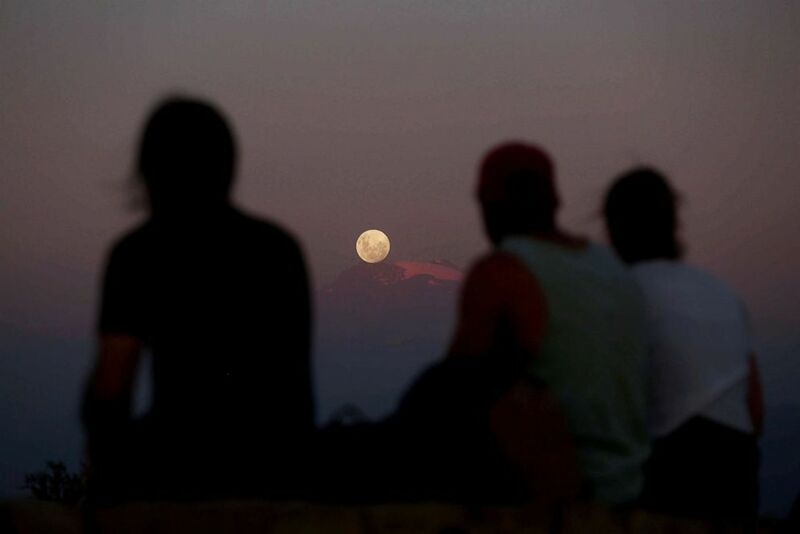 A full moon rises over Los Andes mountain range in Santiago, Chile, Jan. 30, 2018. Got to see the #SuperBlueBloodMoon this morning! Luckily we got up before the clouds rolled in!